BM15 battery powered. MJ15 hand cranked and optional battery powered. 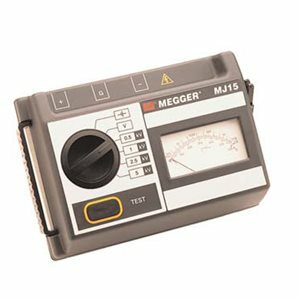 The BM15 and MJ15 are compact 5kV insulation testers. They are very simple to use and provide a quick and accurate reading of insulation resistance. The instruments use an analog display with a maximum reading of 20 GΩ.